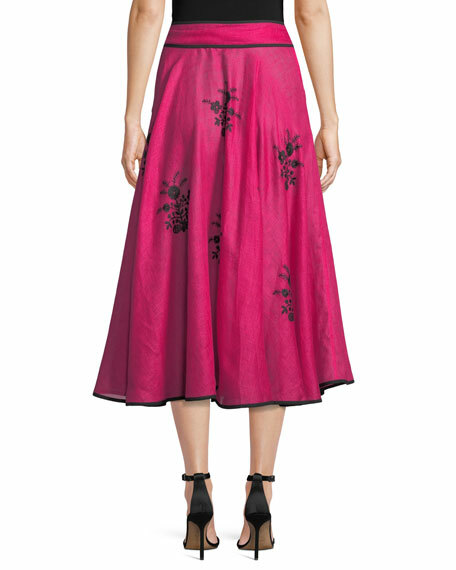 Vita Kin "Happy Flowers" skirt with floral-embroidery. Ukrainian designer Vita Kin explores her home country's traditional dress through her celebrated eponymous label. From the vyshyvanka to the zhupan, each piece contextualizes her heritage in the global twenty-first century fashion market. 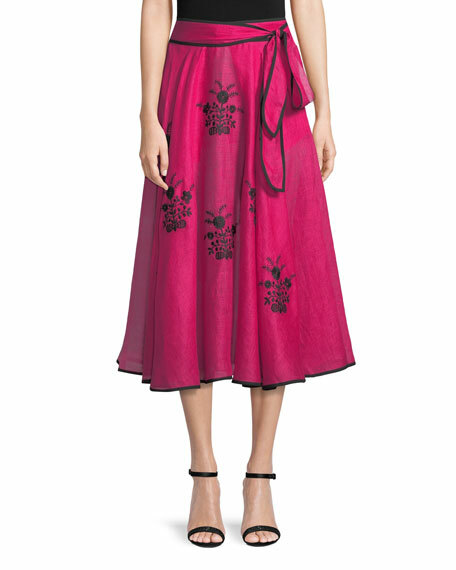 Kin not only draws on Ukrainian costume, but incorporates inspiration from around the world. Intricate embroideries, billowing silhouettes, and swinging tassels form the vocabulary of the brand, which has become a favorite among influencers. For in-store inquiries, use sku #2465533.